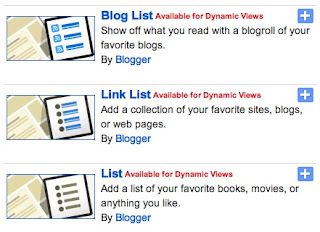 In 2007, we introduced Blogger In Draft, a special version of Blogger where new features could reach users early and let people try new things. We also introduced the Blogger In Draft blog, and for the past five years, we’ve introduced new updates and options here, often before we told the rest of the world on our official blog, Buzz. With the recent launch of our Google+ page, we have another great way to keep you updated on new features, both for everyone and those of you who love seeing things early. To simplify the many places you can get updates, we will be retiring the Blogger in Draft blog, with this being the final post. Going forward, we’d like to invite you to follow our official blog and our Google+ page to find out what’s new with Blogger. This doesn’t mean the Blogger In Draft service is going anywhere, so don’t fret! You’ll still get all the shiny goodness as fast as we can bring it to you. But we’ll be talking about it somewhere else. 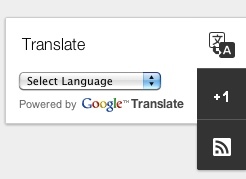 With the Google Translate gadget, visitors to your blog can select their preferred language from the drop-down menu, and using Google’s free translation service, it will display your posts in any of the 50+ languages Google Translate supports. In addition to the new Translate gadget, we are also introducing a pair of gadgets that allow you to highlight things around the web you care about. For example, with the Blog List gadget, you can highlight blogs you enjoy. With the Text List gadget, you can display a list of your favorite books, movies, or whatever you like - helping your readers get to know you better. To add these gadgets to your blog, click "Add a Gadget" from the "Layout" tab, and select them from the list of gadgets under "Basics". 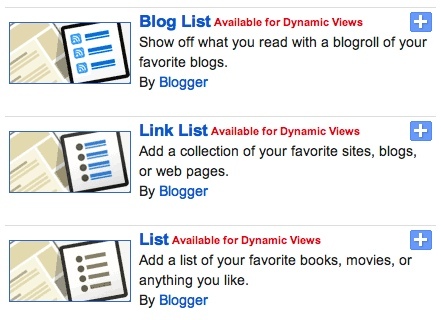 You’ll see three new gadgets for your dynamic blog, including “Blog List”, “Text List” and “Google Translate”. If you’re like many Blogger users, you write in one language, but may have readers from around the world. Not all of them speak your language. Today, we’ve made it easier to bring content from your blog to everyone, with the release of a new Google Translate gadget.